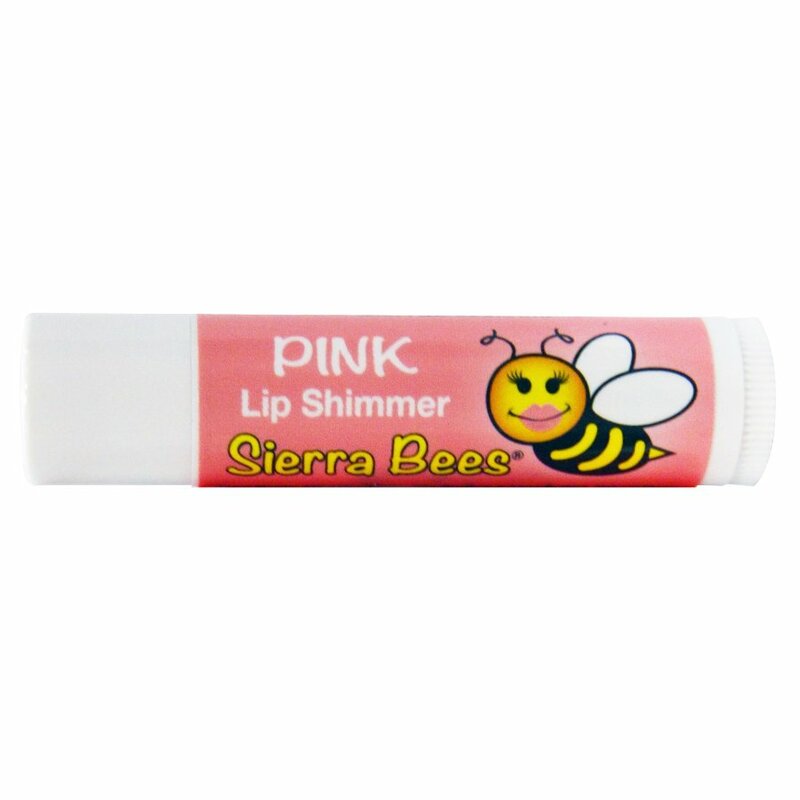 Pink Lip Shimmer is produced by the American cosmetic brand Sierra Bees. It is based on certified organic beeswax and enriched with natural shea butter, olive oil and argan oil. The product is designed to take good care of the delicate skin of your lips, protecting it from the harmful effects of wind, cold temperatures and UV radiation. This pink tinted lip balm takes care of your lips and gives them a gorgeous pop of colour and shine. The product has a great texture, it is easy to apply and doesn't make your lips feel greasy or sticky. Pink Lip Shimmer by Sierra Bees is available in easy and convenient stick form. It feels great on the lips and has a light, natural scent. Valuable vegetable oils contained in the product nourish and moisturise your lips, make them incredibly soft and provide protection from harmful environmental factors. The product makes the skin of your lips soft and supple, improves its elasticity. It is formulated with natural ingredients that are 100% safe for your health, which is especially important for lip care products. Free of gluten, GMO's, soy, FD&C colours & carmine. Cruelty free. Directions. Apply evenly to your lips. Reapply when necessary. Ingredients. Extra Virgin Olive Oil*, Beeswax*, Shea Butter*, Natural Flavor, Argan Oil*, Non-GMO Tocopherol, Jojoba Esters, Lauryl Laurate (0,1%)1. May Contain Mica, Iron Oxide(s), Titanium Dioxide. * Organic. 1Derived from Non-GMO Palm or Coconut Oil. Want to buy Pink Lip Shimmer? Call us or submit your order via our web site! I don't really like lipstick and lip bloss, but sometimes I'm in the mood to add just a touch of color to my lips. Lip shimmer is perfect for such occasions. The pink one is nice and shiny and I like the smell.